Kiruba: Hello and welcome to the first book podcast a show especially for those who have dreams and aspirations to become an author. My name is Kiruba Shankar and every week I speak with experienced and bestselling authors to understand their writing habits, best practices, and tips to successfully author a book. 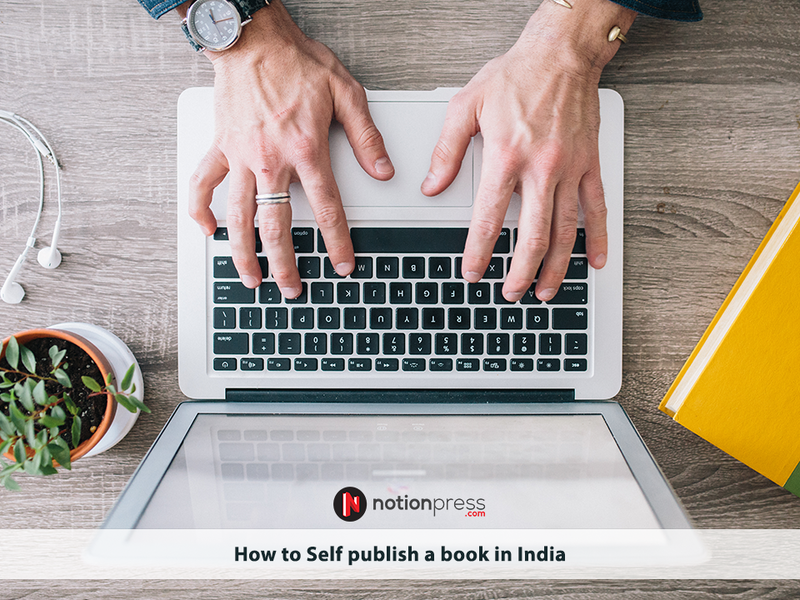 This podcast is supported by Notion Press, India’s largest publishing platform. Their goal beautifully aligns with that of this podcast, which is to help you become a published author. In this episode, we speak with Anuradha Goyal, who is the author of The Mouse Charmers – Digital Pioneers of India, published by Random House. She is a passionate traveler and her travel blog has been consistently among the top travel blogs list for over a decade. She is a voracious reader and has written over hundreds of book reviews on her book reviews blog. After working in the IT industry for over 12 years, she took the brave decision to leave a well-paid, safe job to follow her passion of traveling and writing. 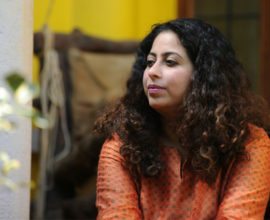 She moved from the hustle and bustle of Hyderabad to a very relaxed life in a small coastal village in Goa. Let’s listen now to Anuradha Goyal on how she cracked her first book and what we can learn from her experience. Kiruba: Anu, thank you so much for coming on the First Book Podcast. Anuradha: Thank you so much for inviting me, Kiruba. Kiruba: So, it’s very fascinating. I look at your LinkedIn profile and you’ve been in the IT industry for a very, very long time. Many years ago, you took a very conscious decision of moving away from a typical 9-5 job and you wear so many hats now. You run a very popular travel blog, you have focus on innovation consulting, and you review books. So, how did this happen? Anuradha: It was not a conscious decision or anything. When I started working at around 21 or 22, I knew that I’ll quit when I was 35. So, I quit when I was 35, so that’s the life span I had to work in the corporate world. And also in the corporate world, I think I had done most of the things that I could do and it was time to step and as they say live life. So, I am kind of living life and juggling too many things, yes, but somewhere they all intersect. For example, if you have to be an innovation person, you have to get out of your comfort zone and go to spaces which are very unlike your own space. So, when I travel, I go into times and spaces which are not mine, which are not native to me. When I read books, I go into absolutely different space, into writers’ imagination or into a different time and space. And they all give me ideas for innovation. So, they all converge, you know, externally, it looks like they are three different things but somewhere in my head, they all converge. To get new ideas, I must travel and I must read more books. And it just happens that I share my travelogues and my book reviews with the larger world and today it has become my dominant identity. Kiruba: Brilliant! So, you know that the first book podcast is targeted at first-time authors and you successfully wrote your first-book. Was it a year back, Anu? Kiruba: Two years back and it’s called The Mouse Charmers. So, walk us through how the idea of the book crop inside you. Anuradha: Okay. So, I have been studying business innovation as a subject that I enjoy reading, I enjoy studying business and see how they are doing new things, how they are breaking norms and how they are defining new norms. And in the process, I ended up authoring a series for CII, it was called India Innovate series. This was the series where I used to pick up daily off-beat business from across India, from across verticals and write about their stories – what was their story, what was their challenge, how they did it, what they did, and it included some really interesting companies. For example, somebody was into waste management or somebody who’s trying to make a refrigerator without electricity. After I’ve done a few series of India Innovate, the natural progression was to try and do a book on a single theme. And that’s how the idea came up and when I shared the idea with my publisher, they were more than excited. SO, my idea to publication journey was really short. All I had to do was call up the publishers and say, “Hey, this is an idea,” and they said, “Please send us a proposal.” And I actually started working on the book after I had the contract in place. Kiruba: What gave you the confidence to write a book? We are talking about 50 or 60,000 words, that’s a long commitment. So, how did you build up that confidence? Anuradha: I guess by reading so many books, you naturally start feeling that I must have a book on my own as well. to be honest, 70 or 75,0000 words (that’s what my book is around in terms of number of words). If you really look at my blogs, I actually write far more than that every year. So, I have been writing more than one book every year, but they were not in the shape of a book. The challenge while writing the book was to be focused on one thing and write all about that one thing. Instead of, you know, sporadically writing about whatever comes to your mind; whatever comes in your way. Kiruba: So, two important lessons I’m getting from your answer. The first one the way to eat an elephant is in small bites. So, what you’re saying is daily blogging has really helped you to author much more number of words than what a typical book would be. And that gave you the confidence to author a book. Anuradha: Yes, that played a role. You know I think drive came from a strong desire to have a book of my own. You know, that was the driving point and then the fact that I’ve been writing and I’ve got very comfortable with writing, that helped. Kiruba: Got it! And the second lesson I can derive out of that is for you to hone in on one subject and then dive deep into that subject, instead of trying to boil the ocean. Anuradha: Yeah. So, that is basically the difference between blogging and books. In blogging, you can rarely go haywire and over the period of time, your content gets organized into various categories or subjects. But when you’re doing a book, you’ve to dive into a subject and do it at one go. Kiruba: Got it. What is your writing schedule like? I’m typically a morning person. So, I get up in the morning and write. I try to write something before breakfast; but if it spills over, I try and do it before lunch time. So, that’s what I do and for the book, I followed a different routine. I collected a lot of data and did hell lot of reading in terms of reading newspapers, reading online, interviews, and I took a truck load of interviews, I would have spoken to 50 or 60 entrepreneurs in the process and record all that. For the book, it was a slightly different process, but in my day-to-day writing, it is usually mornings or at least the first half of the day. Kiruba: So, let’s get into details. What is your favorite waking time? Do you do any pre-writing exercises and how long do you write for? 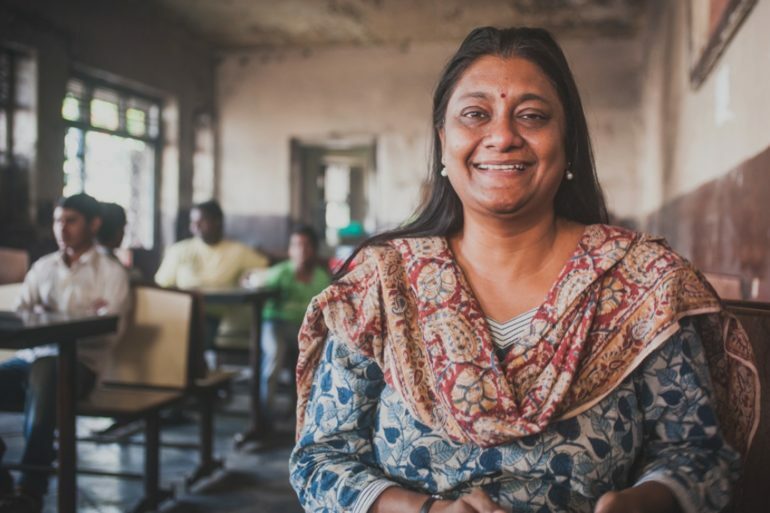 Anuradha: I get up around 6 in the morning and I try and see a bit of my mails and see if there’s anything urgent, everything’s working, the sites are working, nothing has been hacked like that and I then I do a bit of yoga, and then I start writing. I write for about an hour, maybe, depending on what I’m writing. The way it works with me, once I have the subject very clear in my head, the actual writing doesn’t take time. It just flows. Most writers would tell you there are those magical moments when the writing just flows through you, you are just a medium, and it just flows. If I try to deconstruct that myth, it is basically having a very clear idea in your head on what you are going to write about. So, then it’s just a matter of typing it out and putting it in the right language. So, you do the basic writing and I leave it for re-reading, which I can do later, maybe a day or two days later when I need that piece to be published. In that part, will be just taking care of any miss-outs, any grammatical mistakes, or any other small tweaking language here and there. Kiruba: So, how do you get this clarity of thought, especially for topics you want to write on? Do you come out with a major list of topics and then you pick one? Or, do you plan on what you want to write in the morning the previous night itself? Walk us through that process. Anuradha: For the book, I obviously had a structure in place once I had a longer list of companies that I wanted to write about. I had about 110 companies that I had researched, out of which 12 made it to the book. So, there’s a larger structure and I shortlisted the companies and then I again created the last list of companies that I want to have in the book and then for each chapter, I had a very broad guideline saying that these are 3 or 4 key points that a reader should take away from these chapters. But it was very loose because every company had a different focus, a different business model and every different trajectory of their growth. So, it had to be tweaked for that but I did have a lose plan saying that overall, the book should target this segment, they should take away these lessons out this book, and from each of the chapters. If you want to read one chapter only, you should still be able to take out to the essence of what I wanted to write about. This is about the book. Kiruba: Interesting. while you’ve been writing for long, the Mouse Charmers is your first book. It’s your first real experience writing a book. You have no prior experience at all. So, did you take any external assistance? Anuradha: No. Nothing at all. In fact, the only person who read the book before it went to print was my editors at Random House. Kiruba: Got it. How long did it take for you to finish the book? Anuradha: One year! One year after I signed the contract, the book came. Kiruba: Actually a long time in terms of attention span, Anu. So, how do you maintain the enthusiasm over the long period of time? 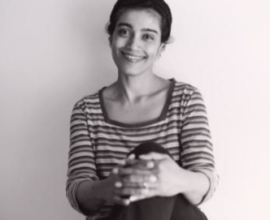 Anuradha: I really liked the subject I was writing about. I thoroughly enjoyed the conversations I had with the entrepreneurs or with the agencies who deal with entrepreneurs or the agencies data like IMIA and everybody. So, I really enjoyed that process. When I say one year, it’s the actual publishing of the book. So I would have taken about 6 to 8 months to write the book and then about 4 to 5 months is what the publishers took to publish it. The actual process of editing, publishing, and then the whole process of sending it to the market. I think it’s all about how much are you passionate about. That’s all. Kiruba: [Laughs] Well said; because what happens is over a period of 6 months, there are so many distractions or emergencies that can come in between. There could be work deadlines, there could be family pressures, there could be travel, and there’re so many things that can come in between. It’s very important to carve out that time to consistently keep writing and walk towards the goal of finishing the book. Anuradha: I think the deadlines help. So, I did juggle a lot of things with my traveling because I do travel quite a bit. So, I did take up some traveling projects and I actually let go of few of them because I did not want to miss my deadline. Kiruba: Got it. So, how did the book help you? What are the different ways that you’ve benefited from the book? Anuradha: I have an author tag now. You know, which for some reason still commands a lot more respect and value in a lot of circles than a blog could be. Unless I write far more and in far more depth on my blogs, you’re still seen as a blogger because anybody could be a blogger. But as an author, you suddenly get a respect. And the fact that I was published by one of the leading publishers, that adds to it. 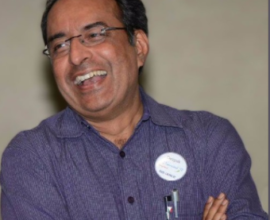 That and also in fact the endorsements for the book came from people like Sam Pitroda, M. D Pai, Anil Gupta from IIM, these people actually did the edit. I don’t think I’ve shared it in any other interview, I had no contact with Sam Pitroda but I just managed to get his email address from somewhere. I wrote to him saying that this is what I’m working on and I would like you to write the foreword. He said, “Okay, send me the manuscript. If I like the book, I will write it.” And the reply he sent me is one of the most cherished feedback on the book. He actually said, “Please make sure that your publisher sends this book to all universities across the world. Everybody needs to read it.” So, the press had been kind. I think by interviews or the reviews of the book have appeared in almost all leading newspapers and business journals. That has helped quite a bit. Kiruba: And that brings to another important subject. The onus of the marketing of the book, it looks like the onus really lies on the author because publishers really don’t carry that much weight or put so much effort. If you’re a first-time author, if you’re Chetan Bhagat or Rashmi Bhansal it’s a different story. But if you’re not them, then I think it is the author who has to take on the weight. Anuradha: Yes, so I think publishers are publishing a few hundred books every year and they choose about ten books to focus on. Those ten books belong to the elite authors. If you’re Amitav Ghosh, they will do everything. They will take you to the nook and corner of the country and make you read the book. But I guess that’s how the some business sense for them. So, for most of other first-time authors, they have to do it themselves and that has also started playing a role in who gets published. I don’t know if it should be like that but if you’re a blogger, it helps because all publishers know that you’ve certain crowd to influence the sales. Kiruba: Got it! So, how did you crack Random House publishing? Anuradha: Okay, I have a book reviews blog, which is also India’s biggest book reviews blog. It’s in Limca Book of Records for that. I have a working relationship with most of the leading publishers in India. Again, I managed to get the contacts of editors at Random House and I spoke to them, shared the idea with them, they asked for a formal proposal and within a week they told they will publish the book. So, that part was very easy but if I have to look at it what made it easy, there are two or three things that made it easy. One, the fact that that I had a reasonable online presence. they didn’t have to find out who I am and if people knew me. There was a certain sense of authenticity there. 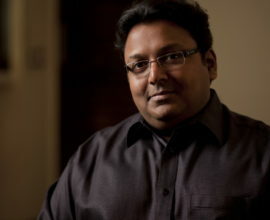 Second, I think the subject itself was the first book that was written on the digital companies of India. I guess the timing and the subject mattered to them. The third is that I wrote a very strong business proposal. I spent a couple of days working on that proposal and making it a very strong proposal. I was absolutely ready for rejection because every author talks about so many rejections that I am surprised that I didn’t have to go to a second publisher. I had a list of publishers that I would have approached for this book, which was a top five or six publishers. But I didn’t have to do any of them. Also, I was confident that somebody or the other, one of the four or five publishers would publish me because less than two years before, I started working on the book. I was getting approached by a lot of small time publishers saying that why don’t you write a book and we will publishing. I guess I was also confident that there is something that is pushing me to that or if some players in the industry see a potential in me as an author, then I should probably give it a try. So, while I always say it was very easy for me, there were a lot of factors that were to make it easy. Kiruba: You said you wrote a strong proposal, Anu. What would be your tips for someone who’s writing a proposal. Anuradha: I’m talking about non-fiction. For fiction, I’m not too sure because..
Anuradha: So, for non-fiction, you should be very clear on what the subject is, who your target audience is and make sure that your target audience is large enough. Then you should have a very strong need for the book established. Why do you need a book? You write a book about which are the potential competing books for this. You write about how you’re going to market the book. I wrote in detail about these four or five points and that probably worked for me. Kiruba: Got it! 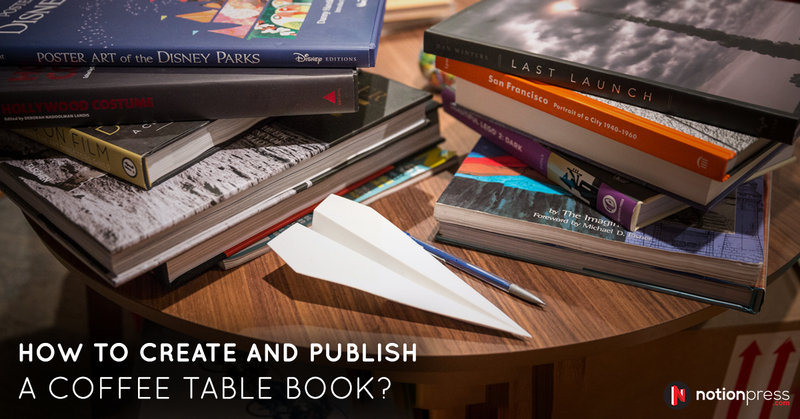 And what are your views on self-publishing? Not everybody can crack a Penguin or Random House. Anuradha: Big publishers can push your books to all possible bookstores in our country. If not all possible, let’s say about 60 to 70% of them. Their mail carries a certain weight. So, a lot of people may not pick it up for my name but pick it up because it’s a Random House publication. A self-published book will have all those disadvantages. It’s really difficult to get your book distributed on your own. And, I would have assumed that a book like the Mouse Charmers, which is all about digital companies would sell online a lot. But the data says it has hardly sold online. Books are still being sold in the physical bookstores. Online book sales are almost zero. So, a self-publishing person will also have to deal with the distribution part of it. But it has its advantages. You have all the control, you’ll have to deal with the publishing part as well, you know. You’ll have to hire an editor, a typsetter, a cover designer, somebody who puts your book out there on online platforms, you’ll have to still go to a distributor and work out your deal with them. But when you’re working with publishers, you just have to finish your manuscript and be done with it and give your inputs on cover design or little here and there and you just have to give your inputs. That’s not your headache. With publisher, you have to take care of all those things. But having said that, that’s a one-time thing you do. The biggest advantage is that you take all that revenues out of your book. But somebody with publishers, you hardly get any revenue out of your book. Event if it’s a bestseller, even if it sells thousands of copies, your paycheck looks like a pittance. Kiruba: Which brings me to another interesting question! Now that the paycheck is pittance, what’s the motivation for someone to invest six months or a year and slog out and do so many sacrifices and then write a book. Anuradha: The desire to have your name on a book cover. that’s the biggest one. There’s no other reason. At least, for non-fiction writers; fiction writers can say they have a story to tell and they must tell it. Also, the respect that authors command. For some reason, the moment you say I’m an author, a large section of society gives you a hell lot of respect. Kiruba: Has it helped your consulting business? Anuradha: It would have if I was living in a bigger city. In fact, the book came after I moved to Goa. Goa is not definitely a business destination. So, not rarely, all the queries came from places like Bangalore and that’s the city where my book did extremely well. Most of them couldn’t be worked out because I’m based out of Goa. So, if I was living in Bangalore, it would have immensely helped. Kiruba: So, for the audience, Anu, took a radical decision. 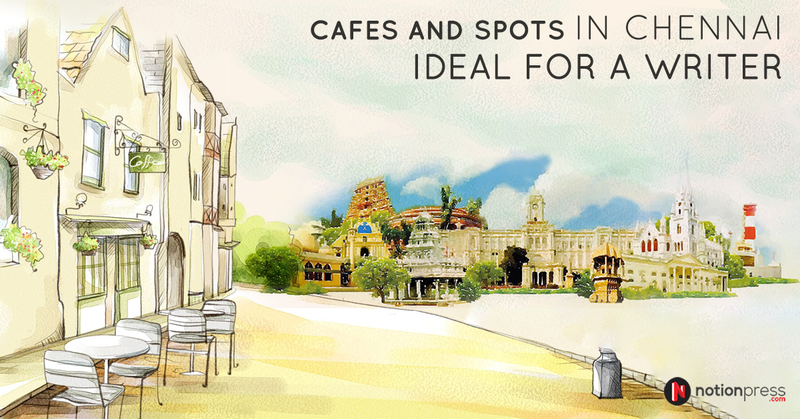 She used to live in Hyderabad and then she took an envious decision of moving to Goa. So, while I’m going green with envy Anu. I also hear that there’s a bit of a disadvantage with the distance and everything. On the other hand, has this nice location, the scenic spot, access to the beach, have these things helped your writing better? Anuradha: Okay. So, Goa gives me a very good quality of life. I’ve clean air, clean water, relatively empty roads, a beach next door, a field in the backyard. So, the quality of life is very good. The Goans still live more like a community. It’s like being part of a small community, where everybody knows everybody. So, all that is the good part. What the biggest challenge in Goa what I face is the internet. There’s only BSNL; there’s no alternative. If your internet on a Friday evening, you’ll have to wait till Monday morning to complain. So, that’s a big challenge. The second big challenge is that a lot of people, especially in the corporate world, think that you don’t need to work. And that’s a very real perception. I wouldn’t have thought it is so strong if I had not dealt with so many people who said, “Oh, you live in Goa. Why do you need to work?” And I work a lot with tourism boards, hospitality brands and travel sector. There are challenges, when you travel, there is an extra flight you have to take to Mumbai and that can mean sometimes a day more of travel. So, those are some of the challenges but having said that if I would choose to go back to Bangalore or Chennai, probably no. The quality of life also impacts the quality of work. So, you are not rushed, the whole laidback thing comes to your writing. Kiruba: Got it. 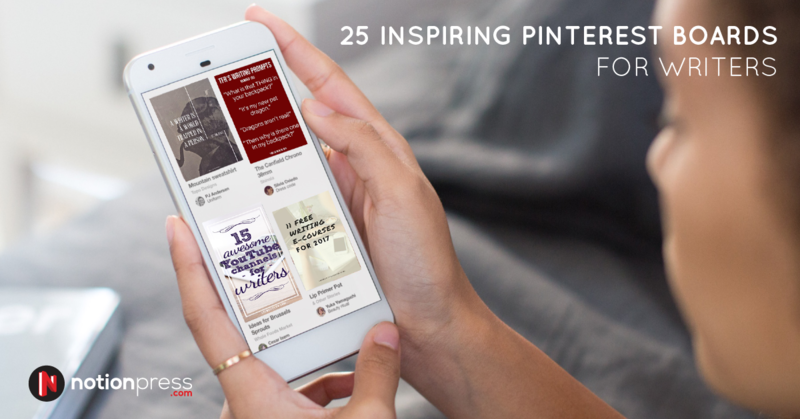 What were some of the best book marketing techniques that have worked for you? Anuradha: The media coverage was the only thing that I did in the leading newspapers. That has worked best for me. Kiruba: Did you or your publishing house hire a PR agency? How did that happen? Anuradha: No, I do review books. So, I know a lot of techniques that authors use. I know what works and what doesn’t. Like I said, what you earn out of a book is absolutely a pittance and if you give all of that to a PR agent – more than what you earn – then, financially, it doesn’t make sense. It only makes sense in getting your name out there, which I think worked for me because like I said, leading newspapers covered the book very well. For example, the Financial Express called the book a masterpiece. In the very first week of the book, they had a huge article running that it’s a masterpiece and that everybody should read it. The Hindu ran a half-page interview of me. All those kids of things helped me a lot. Having said that, if I can share a disaster as well, indie-bloggers, which is part of the book, because they’re a part of the book, they ran a campaign for it, which would cost a lot if I had to pay for it. But they did it because they were part of it. Kiruba: Very interesting. Awesome. Some very valuable tips there, Anu! I know it’s early in the morning and thank you for accepting for the interview and for sharing, honestly, what has worked for you and what’s not worked for you. Thoroughly enjoyed the interview, Anu. Thank you so much, Anu. Anuradha: Thank you, Kiruba. Thank you. Kiruba: You were listening to the first book podcast, which is India’s first podcast specially aimed at first time authors. Do tune in every week to notionpress.com/podcast to follow new conversations with bestselling authors to hear their tips, tricks, and techniques to become a published author. On that note, a word of appreciation to Notion Press for supporting this show. I would love to hear your feedback and encourage you to write to me at kiruba@kiruba.com. Until next week, take care and bye!